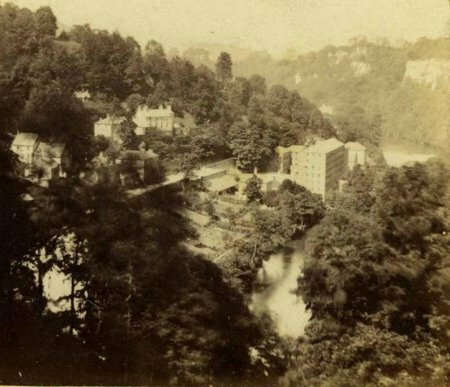 Taken after 1991, showing Masson Mill as a textile museum. Taken c1850, stereo by William Woodward of Nottingham. 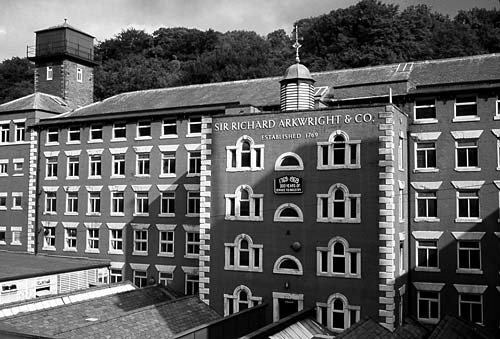 Masson Mill was built by Sir Richard Arkwright in 1783 and was in continuous use until 1991. It now houses an excellent textile museum. Originally the spinning machines were driven by a water wheel worked by the River Derwent.